This is for 576 pcs. Bulk Pack - Scissor Pointed Tip 5". Scissor has a plastic handle in assorted colors. Good quality metal scissors and the cutting edge on these scissors works well. 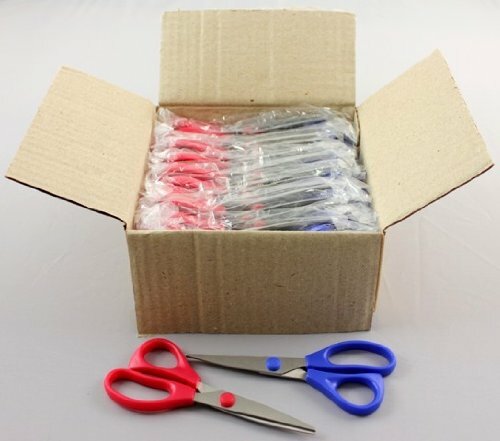 Bulk packed rather then in a retail scissors package to help lower the price.